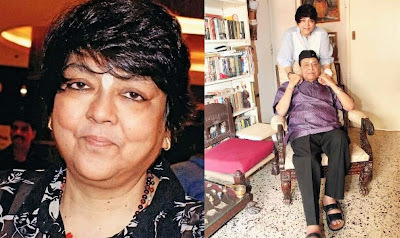 Filmmaker Kalpana Lajmi died today (23 September 2018) morning at about 4.30 am. The director of women oriented films like Rudaali, Chingaari, Ek Pal and Daman was suffering from Kidney cancer and was admitted in Kokilaben Dhirubhai Ambani hospital. She was 64. Since last three years Kalpana Lajmi was critically ill. Since Kalpana Lajmi was detected with cancer, several artists in the film world including Aamir Khan, Salman Khan, Karan Johar, Alia Bhatt, Soni Razdan and Neena Gupta helped her financially. Kalpana Lajmi directed her last film Chingari with Mithun Chakraborty, Anuj Sawhney and Sushmita Sen in 2006. Kalpana Lajmi made her debut as an assistant director of veteran film maker Shyam Benegal over three decades ago.